The Robin Flutter Sleeve Top is effortless and elegant and made from high quality jersey for a comfortable fit. 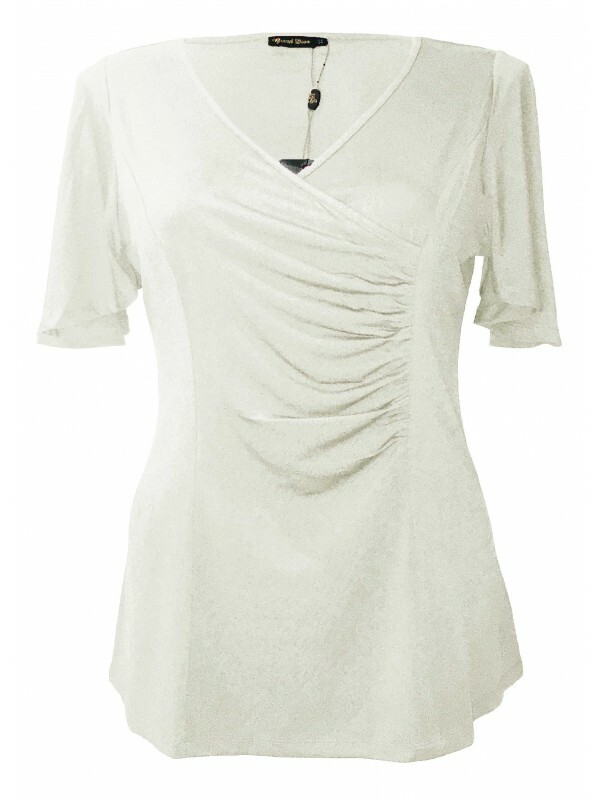 This top features a cross over bust and flattering silhouette with gathering at one of the side seams. Only the best quality materials have been used, and this Jersey has excellent stretch. These tops are not a fitted style and are not lined. These tops can be paired beautifully with the tea length jersey skirt for special occasions. Machine washable at 30 degrees (delicate wash).